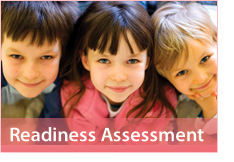 Kindergarten Readiness Testing – Scholastic Testing Service, Inc. When screening young children to identify special medical, psychological, or educational needs, consider our Comprehensive Identification Process (CIP). 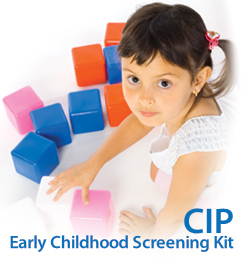 As with other preschool screening instruments, CIP was created to assist educators with early detection of special needs for children aged 2-6. The predictive validity of CIP shows that a relatively high percentage of children who receive the recommended treatment after diagnosis are categorized as normal by kindergarten, and require no further treatment. The CIP is also an economical way to quickly screen large numbers of children and receive results which identify those who are above the needs more help score. CIP may be administered by trained paraprofessionals in the home or in an educational setting. For more information on the CIP, call 1.800.642.6787. CIP is also available online for purchase. It’s never too early to start thinking about your preschooler’s kindergarten readiness. What teachers want to see on the first day of school are children who are healthy, mature, capable and eager to learn. Keep in mind that not all children are ready for school at the same time. Social, emotional, cognitive, and physical development are all important factors to consider in determining kindergarten readiness. The following skills from STS’s Kindergarten Readiness Inventory – Parent Edition will help parents evaluate their child’s overall pattern of development and readiness. Remember that children change quite fast – if they can’t do something this week, they may be able to do it a few weeks later. Recheck this list often to see what additional skills your child can accomplish. Vocabulary – the ability to comprehend and recognize common sight words is a prerequisite skill for reading instruction. Identifying Letters – knowledge of lower-case letters is a prerequisite skill for word recognition. Visual Discrimination – the ability to determine differences between objects or symbols by sight is a skill necessary for identifying letters, numerals and geometric designs. Phonemic Awareness – the ability to hear and manipulate the sounds in spoken words is essential to learning to read. Comprehension and Interpretation – understanding a text that is read aloud, extracting useful information and constructing a meaning is necessary for oral comprehension and interpretation skills. Mathematical Knowledge – knowledge of number meaning, recognition and numerical order. Parents who are interested in home screening their child for kindergarten readiness should order the Kindergarten Readiness Inventory – Parent Edition at our secure online store or contact customer service at 1-800-642-6787 or sts@ststesting.com for further information. 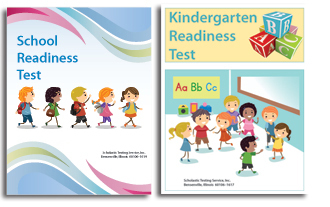 As parents and school districts gear up for spring kindergarten screening, we’ve received lots of requests from parents to purchase the STS Kindergarten Readiness Test (KRT). Since, the KRT is only available for school use, we’ve developed a new inventory of items just for parents. Our Kindergarten Readiness Inventory – Parent Edition, provides a brief overview of what children should know and be able to do at the beginning of kindergarten. The inventory covers the same subjects as the KRT including: vocabulary, identifying letters, visual discrimination, phonemic awareness, comprehension and interpretation, and mathematical knowledge. Our inventory also requires only about 20 minutes to administer, and can be quickly scored with the instructions in the manual. The Kindergarten Readiness Inventory will give parents information about their child’s ability in specific, academic areas which contrasts with the more general developmental information given by preschool screenings. 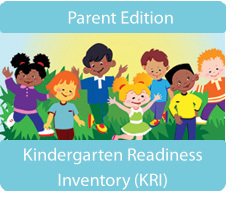 Parents should consider the Kindergarten Readiness Inventory – Parent Edition as a tool to be used in combination with preschool screening results and other indicators to help decide if their child is prepared for kindergarten or not. Select this link to purchase the Kindergarten Readiness Inventory – Parent Edition from our online store. To get more information about this test, please contact customer service at 1.800.642.6787 or via email at sts@ststesting.com.